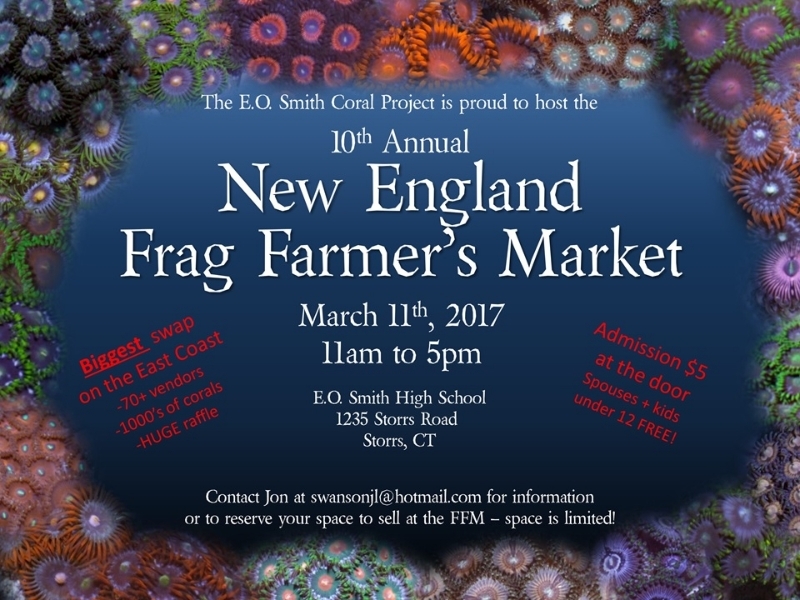 Inspired by the idea of the the reef club frag swap, the New England Frag Farmer’s represents a regional event with “farmers” from all over New England gathered to sell their home grown “crop.” The E.O. Smith Coral Project opens the doors to the school for any local hobbyist, retail or online store to come in and set-up a tank to sell coral frags. Admission is only $5, and anyone can come in and chat with the farmers, share information and get a few nice homegrown frags to stock their tanks. The Frag Farmer’s Market has grown into the largest frag swap in the Northeast, with 60+ sellers and over 1000 people coming to shop for the 2016 FFM.